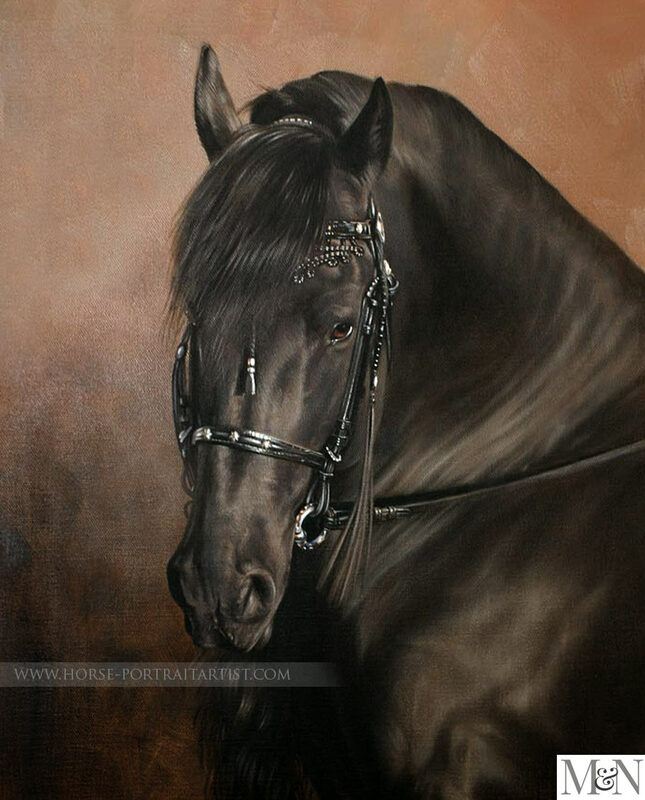 Welcome to the three beautiful equine horse portraits in oils of Kharisma, Beau and Eric. 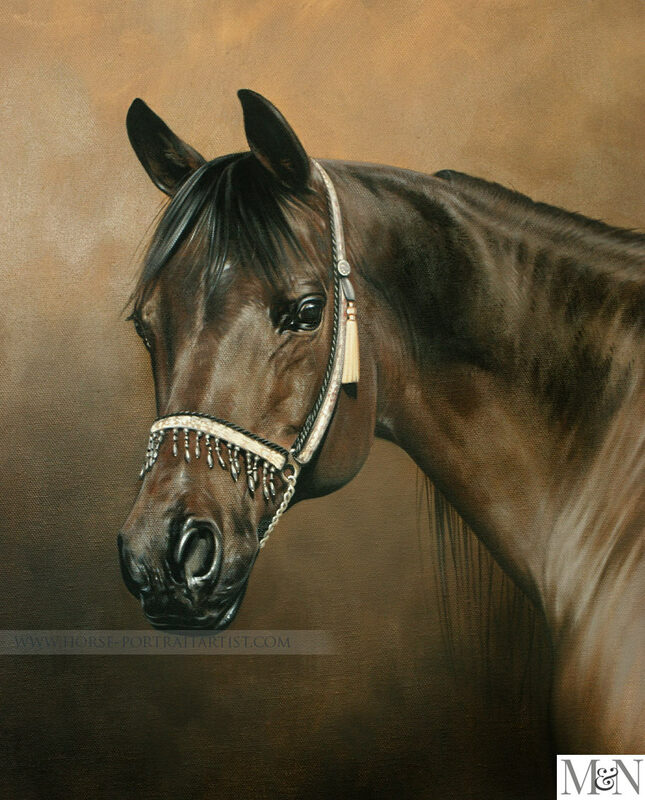 Some clients choose to have portraits of their horses in the same painting, others prefer them having their own painting. This is one of those instances where three paintings was commissioned so that each horse could be the star of their own painting. We have many clients who love this idea and end up with a wall displayed of their horses capturing the beauty of each one individually. Read on to find out more about this commission and please feel free to share our page using the buttons below! 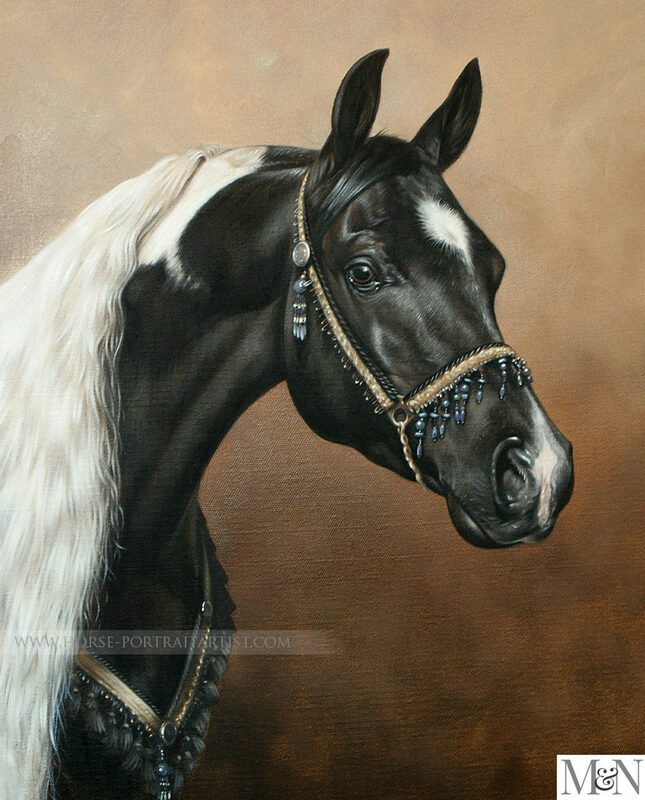 Marianne Goriuk, from Canada, emailed in 2009 enquiring about Nicholas' equine pet portraits as she wanted him to paint her three beautiful geldings 'Kharisma, Beau and Eric'. Eric is the black one, Beau is the black and white and Kharisma is the bay. Marianne had taken some beautiful photos especially for the portrait and sent them to us via email in high resolution. I have added a few of them in the photo reference section below. All three portraits were traditionally hand painted by Nicholas on gallery wrap cotton canvas at 18 x 14 size. As you can imagine the three paintings took a number of weeks paint. When the paintings were complete, we also took some lovely photos of the portraits in our garden, along with Nicholas with the portraits too. As you can see from the photos the sun was very bright that day - quite unusual for Wales! 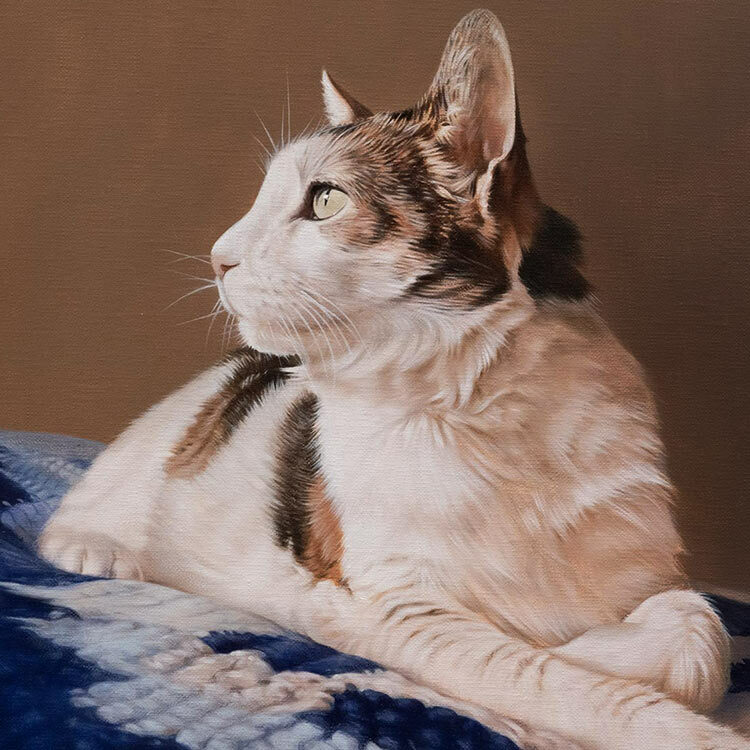 I have added a lovely testimonial from Marianne when she received the paintings, we are thrilled that she loves them. I got the paintings just a couple of days ago!! They look amazing, even better in person, truly. They came together so there was no problems in shipping and I hung them as soon as I got them. It was nice that the edges were painted as well so I have the option of whether to frame them or not and right now they sit on a wood wall which shows them very nicely. Thank you so much, they are truly a treasure! 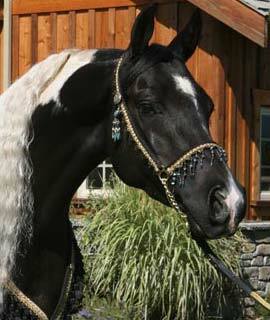 If you would like Nicholas to create an equine pet portrait for you, Nicholas would be delighted. 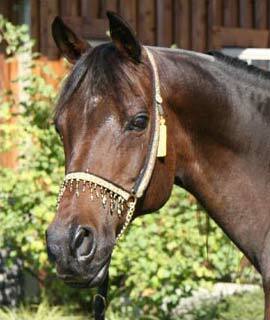 Why not email us some of your horse photos and we can discuss your requirements for an oil painting. 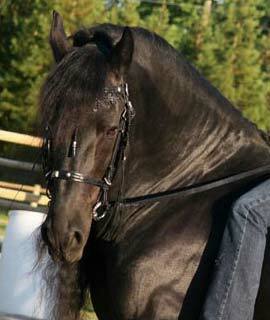 Visit our Horse portraits contact page today.